m4 buttstock has a riser glued to it. 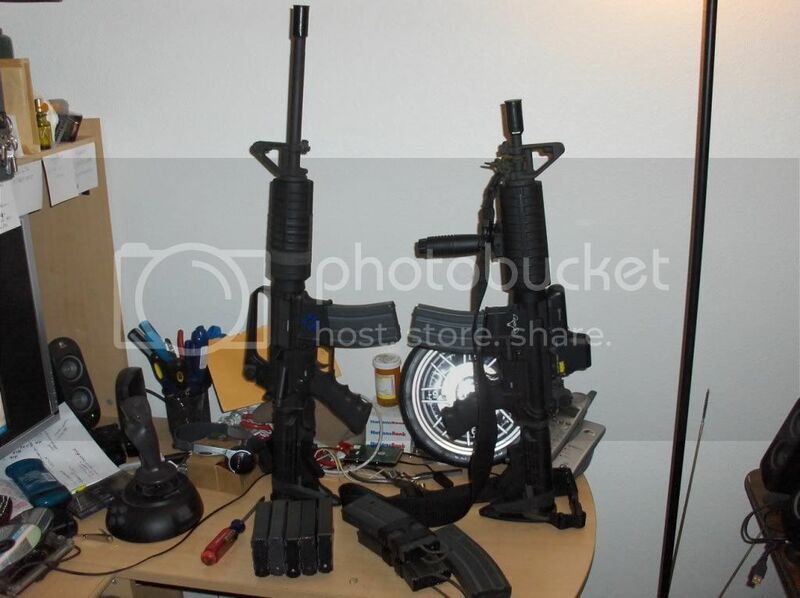 Also stolen was a modified blackhawk tac vest with 20 - 30 rounds mags - all full of ammo. This was stolen at Central ave and 23rd st in Anderson, from a red geo metro. Any tips on this please PM/EMAIL me. Reward for the return of this rifle/vest and mags if found. It is the rifle on the left. Bump in hopes of finding it. This is VERY close to me, I'll keep my eyes/ears open. This is very close to me as well... Any word on this one? Was it ever found? Keep your eyes on armslist.com and gunlistings.com! Lots of Indianapolis-area listings.